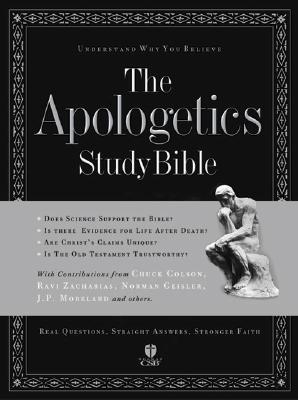 The Apologetics Study Bible, put out by B & H Publishing Group, is a great tool to equip yourself to answer the questions of the unbeliever effectively. An amazing feature offered by the Bible's companion website is the Apologetics Study Bible Curriculum. This curriculum offers flash videos that explain key arguments for Christianity. Arguments for the existence of God, the resurrection of Jesus, and miracles are just some the topics dealt with. This flash video deals with the Moral Argument for God's existence. I encourage our readers and team members to click through the video and share your thoughts. Announcement: Greg Koukl will be speaking at Faith Christian Fellowship in Williamsport, Maryland on May 17th, 2009. Keep watching the blog for details! Our apologist in focus this week is Stand to Reason's Greg Koukl. Koukl has been debating topics that relate to Christianity for over 30 years. He heads up Stand to Reason, an organization dedicated to training and equipping ambassadors for Christ since 1993. Further, he has hosted a call-in radio show in Los Angeles (also entitled Stand to Reason) since 1990. View our review of Tactics here. A Good Reason for Evil- What is evil? Could it have a purpose? Here is a view of evil from an adult rather than a childish perspective. God is not Responsible- Are people who commit crimes in the name of Christianity Christians? The Strength of God and the Problem of Evil- What makes you think the ability to take away evil from the world has anything to do with God's strength? Faith and Facts- Can you give a good definition of biblical faith? How does it relate to science? For all of Greg's apologetics articles, see here. I'm Not Dead Yet- Why are human beings valuable? What is a human being? You have to answer those questions before you can say that this child isn't a human being without value. For the rest of Greg's Bio-Ethics articles, see here. For his articles on Ethics and homosexuality, see here. Faith and Philosophy- For some Christians (and even non-Christians), faith and philosophy are strange companions. When used properly, philosophy is a friend, not a foe, an ally, not an antagonist. Jesus, Presuppositions, and the True Message of the Gospel- Is truth a person? Is truth a spirit? Or is truth a word? Truth is the relationship between a claim and the way the world really is. For the rest of Greg's philosophy articles, see here. Evolution- Philosophy, Not Science- Greg shows that Darwin's General Theory of Evolution has nothing to do with science. For the rest of Greg's science and evolution, see here. Acts and the Voice of God- How does God speak to us? Cosmic Child Abuse- Is the cross actually a cruel punishment revealing God as vengeful? Jesus, the Only Savior- Greg explains why there is not such thing as a pluralist Christian. Greg also offers articles addressing Culture and Christianity and Miscellaneous topics. Stand to Reason's website offers a wealth of resources for the thinking Christian. I highly recommend it and Mr. Koukl's works. "Pro-choice advocates once commonly stated, "It's uncertain when human life begins; that's a religious question that cannot be answered by science." Most have abandoned this position because it's contradicted by decades of scientific evidence. However, this out-of-date belief is so deeply engrained in our national psyche that it's still widely believed. The only way pro-choice logic can prevail is if people believe the unborn are less than fully human. Dr. Alfred M. Bongioanni, professor of obstetrics at the University of Pennsylvania, stated, "I have learned from my earliest medical education that human life begins at the time of conception...human life is present throughout this entire sequence from conception to adulthood...any interruption at any point throughout this time constitutes a termination of human life." Speaking of the early stages of a child's development in the womb, Professor Bongioanni said, "I am not more prepared to say that these early stages represent an incomplete human being than I would be to say that the child prior to the dramatic effects of puberty is not a human being. This is human life at every stage." Dr. Jerome LeJeune, the genetics professor at the University of Descartes in Paris, stated, "After fertilization has taken place a new human being has come into being." He said, this "is no longer a matter of taste or opinion. Each individual has a very neat beginning, at conception. Professor Micheline Matthews-Roth of Harvard University Medical School said, "It is scientifically correct to say that an individual human life begins at conception." The moment of each person's creation is the moment of his conception. Before that moment the individual (with his unique DNA) did not exist. From that moment he does exist. It's not merely pro-life people who believe this. The owner of Oregon's largest abortion clinic testified under oath, "Of course human life begins at conception." The award-winning secular book From Conception to Birth documents the child's beginning at conception and his movement toward birth. How clear is the proof that human life begins at conception? 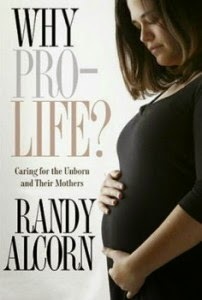 So clear that the Missouri General Assembly overwhelmingly approved a 2003 bill which stated, "The general assembly of this state finds that: (1) The life of each human being begins at conception; (2) Unborn children have protectable interests in life, health, and well-being...The term 'unborn children' of 'unborn child' shall include all unborn child or children or the offspring of human beings from the moment of conception until birth at every stage of biological development." Love him or hate him, Christopher Hitchens has guts. He is not afraid to debate anyone and freely speaks his mind. One should give credit where credit is due and Hitchens deserves props for debating all comers. In an article entitled, Analyzing Christopher Hitchens' Case against God, the Wintery Knight examines the arguments used by Hitchens in his debate with Turek. In summing up Hitchens' arguments, Turek said it best: "There is no God, and I hate Him." However, Turek also went on to say, "There is a God and He loves Christopher Hitchens..."
I encourage our readers to check out the Wintery Knight's analysis here. As the upcoming Hitchens vs. Craig debate nears, I thought it would be useful to listen to this audio in which Dr. Craig presents some arguments for the existence of God. With a special focus on the Kalam argument, Dr. Craig sets forth a case for the Theistic God. Dr. William Lane Craig, philosopher and Christian apologist, has debated numerous individuals on various topics- the resurrection of Jesus, the existence of God, Christianity vs. Atheism, and much more. He is considered by many to be the top Christian debater on the planet. He also has a forthcoming debate with popular atheist Christopher Hitchens. You can find out more about that debate here. Please keep watching the blog this week for more on Dr. Craig and Mr. Hitchens. For a complete list of Dr. Craig's publications, see here. Dr. Craig has debated scores of the most notable atheists, agnostics, and skeptics around. You can see a list of his debates here and you can find transcripts from many of his debates here. I encourage our readers to study Dr. Craig's works. He is a brilliant debater, engaging personality, and, as Dr. J.P. Moreland has said, "he lives a life of integrity and lives out what he believes." May the same be said for all who claim the name of Christ. Doug Groothuis teaches philosophy at Denver Seminary and is the author of seven books. In this article, entitled Six Enemies of Apologetic Engagement, Groothuis lays out 6 areas that he believes hinders Christian's from engaging in apologetics. The apathy of many believers toward apologetics must be challenged. This article is a great place to start! I also encourage you to check out Doug's blog, The Constructive Curmudgeon. In this brief video(2:10), Dr. John Lennox explains how followers of Christ can be prepare to share their faith and how to best respond to questions others may have, even if you don't know the answer. The video can be found here. If you are just starting to study apologetics, this is a great little talk that provides practical ways to put your study into practice. I encourage our readers to check out more of Lennox's work here. Also, you may want to check out this debate that Dr. Lennox had with Oxford Professor Richard Dawkins. * The audio version of this brief talk is also available via the video link provided. Philosopher and Christian Apologist, Dr. Norman Geisler, has written over 60 books dealing with Christian apologetics, has taken part in numerous debates, and has lectured and traveled in 50 states and 25 countries on six continents. For an exhaustive look at Dr. Geisler's education credentials, honors, professional experience, debates, and publications, see here. Questions about God- What Kind of God Exists? Who Will be Saved, According to the Word of God? To learn more about Dr. Geisler and to check out more of his work, see here. Ravi Zacharias has called Geisler "one of the finest theological and philosophical minds of our time." His work is well worth getting acquainted with. "If I speak in the tongues of men and of angels, but have not love, I am a noisy gong or clanging cymbal. And if I have prophetic powers, and understand all mysteries and all knowledge, and if I have all faith, so as to remove mountains, but have not love, I am nothing. If I give away all I have, and if I deliver up my body to be burned, but have not love, I gain nothing." With these words, Paul reminds us that we can master every apologetic argument, but still miss that which is most important. In this message entitled, Fish Out of Water: Loving People, Dr. Ravi Zacharias re-visits the biblical story of Jonah and reminds us how much God does indeed care for those who are lost and how we can better love those whom we are sharing His truth with. I encourage our readers to take the time to listen to this challenging message. The audio and sermon outline can be found here. A friend of mine and I often discuss the various objections atheists consistently raise against the Christian faith (this is what I am interested in defending). Numerous objections are normally brought up in our conversations including the problem of evil, naturalism, and alleged contradictions in the Bible. However, we both agree that many of the objections raised by the unbeliever often have to do with God not working in the manner they think He should. "God would not (fill in the blank)." 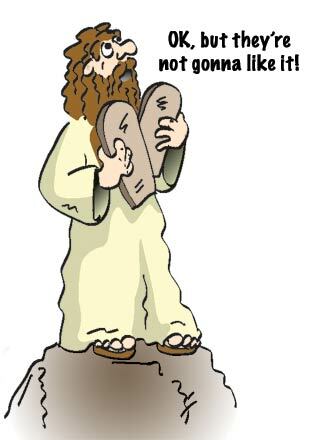 "If God existed, He would....(fill in the blank)." "God didn't answer my prayer..."
Chad: Maybe God doesn't give out cookies. Atheist: I used to believe that God would give out cookies, but I didn't get any. So, my experience tells me that God doesn't exist. Therefore, your suggestion that maybe God doesn't give out cookies doesn't make any difference. For this reason, I have named these types of objections Cookie Monster Objections. I believe that the thoughtful person can immediately see why these types of objections fail to cast any doubt on whether or not the Christian God exists. 1) If the Christian God exists (and I believe we have good reason to believe He does), then I see no logical reason to assume that He is required to act in any way that we (finite humans) pre-determine to be acceptable. 2) It is completely reasonable to believe that God has reasons for answering prayers and reasons for not answer prayers. Imagine the chaos that would ensue if God provided everyone with everything they wanted. 3) When someone requests something it is important to remember that "no" is a valid answer. It may not be a desired answer, but an answer nonetheless. 4) Answered prayer can certainly be considered evidence for the existence of God; however, it is not necessary evidence for the existence of God. 5) The purpose of prayer is not to treat God like a cosmic drive-thru, but to shape our character to be more like His own. We really don't believe God can answer (Matthew 21:22; James 1:6-8). We ask with wrong motives (James 4:3). Unconfessed sin separates us from God so He will not hear (Isaiah 59:1-2). We set up idols in our hearts that come between us and God (Ezekiel 14:3). We don't answer those who cry for help (Proverbs 21:13). For myself, I believe the most important question is- "Do I have good reason to believe that the Christian God exists and has revealed Himself through Jesus Christ?" I have concluded that I do; therefore, He is sovereign over all things and knows what I need better than I do. "My Father, if it be possible, let this cup pass from me; nevertheless, not as I will, but as you will" (Matthew 26:39b, ESV; Emphasis mine). There are no easy answers to the mystery of unanswered prayer; however, perhaps unanswered prayer is a necessary part of the growing process for every believer. Each of us either desires the will of God or our own will. When all is said and done, God is gentlemen enough to say, "as you will..."
1) Dawson McAllister, Why aren't my prayers answered?, http://christiananswers.net/q-dml/dml-y002.html, 1997. Hello everyone! As I have written about in the past, it is many times the job of the apologist to not only demonstrate the rationality of the Christian faith to the skeptic, but also to effectively communicate the body of Christ why apologetics is vital in their own walk with Christ and to the Christian faith itself. Admittedly, I have received many objections from Christians regarding the role that apologetics should, or should not play, in the life of the Christian. The Bible is very clear that each of us are to be "ready to give a defense to anyone who asks you for the reason for the hope that is in you" (1 Peter 3:15b; CSB). In this article, Dr. Norman Geisler explains The Need For Apologetics. "Christianity is under attack today, and it must be defended." Geisler looks at 1) objections to defending the faith: biblical and extra-biblical 2) objections to apologetics outside the Bible, and 3) the reasons for defending the faith. I encourage our readers to take the time to work through this article and be reminded of why we must be prepared to defend our faith and to intelligently explain what it is we believe to the best our ability. Hello Everyone! In this brief audio, Dr. Gary Habermas explains his "minimal facts" approach for arguing persuasively for the life, death, and bodily resurrection of Jesus Christ. By using only the facts that 95% of critical and non-critical scholars concede as historical established, Dr. Habermas is able to present a compelling case for the validity of the resurrection account. This short piece of audio can be found here; and for more on Dr. Habermas and to view his works, I highly recommend his website. Hello Everyone! In an effort to provide great resources and informed answers to the various objections and challenges that followers of Christ face, I am going to start a series that highlights different apologists and some of their works. I have, and continue to, benefited from their works and believe our readers will as well. My hope is that these resources will help to educate and challenge both believer and non-believer. He is the author or co-author of many books and articles that tackle topics such as morality, God's existence, and relativism. You Christians Are So Narrow-minded!- A Brief Response to the Charge of Intolerance. To see more about Dr. Copan and to check out his books and articles, see here. I hope that these resources prove helpful. Hello everyone! I have recently run across some excellent online resources and one of them is a newer blog entitled Wintery Knight Blog. This blog offers excellent commentaries on debates, tackles common objections offered by unbelievers, and much more. Here is a sample taken from a post entitled How do Atheist Scholars justify Morality on Atheism in Debates? If atheism is true, there is no free will. As Dawkins says, there is only DNA and you dance to its music. Period. If there is no free will, there are no moral choices and no moral responsibility. Moral actions are not rationally justifiable on atheism. If atheism is true, humans are accidents with no intrinsic value. Any value that is assigned to humans is arbitrary, and arbitrary standards do not constrain the will of rational people when it is not in their best interest and they will not be caught (e.g. - Stalin). If atheism is true, there is no accountability. Being good or evil is irrelevant to where you end up, and where humanity ends up. (The heat death of the universe). Being good when it hurts is irrational on atheism. Being bad on atheism is rational if you won’t get caught and you get pleasure. There are only 2 reasons to be moral on atheism. If you get pleasure out of following these made-up rules or if you avoid punishment. That is not what theists mean by virtue. Acting in the way you were designed to act in order to achieve what Aristotle called eudaimonia." To check out more of this article and this excellent resource, see here. Please feel free to share your thoughts and many thanks to the Wintery Knight for permission to feature the blog! In Paul's letter to the church in Rome, he tells us that those who reject God in exchange for their own ungodliness "suppress the truth." He goes on to say that "for what can be know about God is plain to them, because God has shown it to them. For his invisible attributes, namely, his eternal power and divine nature, have been clearly perceived every since the creation of the world, in the things that have been made. So they are without excuse" (Romans 18b; 19-20). In Frank Turek's latest article, Sleeping with your Girlfriend, he explores some of the reasons why atheists willingly choose to reject God. "I’ve found that the machine-gun-objection approach is common among many skeptics and liberals. They throw objection after objection at believers and conservatives but never pause long enough to listen to the answers. It doesn’t matter that you’ve just answered their question with an undeniable fact—they’ve already left that topic and are rattling off another objection on another topic as if you hadn’t said a word. They don’t really seem interested in finding answers but in finding reasons to make themselves feel better about what they want to believe. 1) Dr. Frank Turek, Sleeping with your Girlfriend, http://www.crossexamined.org/blog/?p=98, March 2, 2009, Emphasis mine. When the Christian claims to know that Christianity is true, it is not uncommon for someone to quip, "You can't know that!" Indeed, on the surface the claim seems extravagant or possibly even outrageous; however, does the Christian have solid ground when he or she proclaims that they know Christianity is true? In his article, Can the Christian Know?, Brian Auten of Apologetics 315 takes a look at this very question. "Christianity claims to be true. Christians believe it to be true. But can the Christian know that it is true? Moreover, can the believer who cannot prove Christianity to be true, legitimately say that he knows that Christianity is true? Our purpose here is twofold: to show that the Christian can legitimately claim to know that Christianity is true, and to explore how the Christian knows." Brian's article is unique and thought-provoking and I encourage you to take the time to read it. The idea of a Moral Law is impressed into mankind. For example, we know that love is superior to hate. We applaud and revere those who work to save lives, feed the poor, or care for the sick. Try to imagine a world were those celebrated were the ones that murdered others in cold blood, starved the poor, or discarded the sick. This past week I had the pleasure of attending Dr. Frank Turek's I Don't Have Enough Faith to be an Atheist seminar held at Hood College in Frederick, Md. During Turek's first lecture he showed a short video entitled "Cruel Logic" to illustrate the reality of objective moral laws. I encourage our readers and team members to view the video and share your thoughts and reactions. You can view the video on Dr. Turek's blog found here. Please note that the video is a bit intense. 1) Does the video show that we know certain things are wrong and that certain things are right? Explain. 2) What would be the consequences of a universal acceptance that morality is simply a product of our DNA? 1) CS Lewis, Mere Christianity, p. 19. 2) Norman Geisler and Frank Turek, I Don't Have Enough Faith to be an Atheist, p. 171.